When I first heard that the franchise and superstar modes were taken out of Madden NFL 13, I was livid. Why on Earth would you destroy the offline gamer’s dream? Not cool EA, not cool. Madden NFL 13 delivers a superb audio experience that faithfully replicates NFL Sundays with CBS Sports' Jim Nantz and Phil Simms calling the action, QB cadences, authentic sound effects and actual on-field player chatter, all provided by NFL Films, and a fully-scored orchestral theme that conveys the emotion and excitement of professional football. Madden NFL 12 Demo available today through LIVE and PlayStation Network. Hey guys, Justin Dewiel, your EA SPORTS Community Manager for the Madden NFL franchise, here with a short update on where we currently are with Franchise mode, and a look at where we’re heading. So many times throughout the year I get the pleasure of revealing features that you, the community, have been asking for. Hey Madden Ultimate Team fans! EA SPORTS Game Changer Jake Stein back and wanting to breakdown one of the biggest community request for MUT: TRADES! 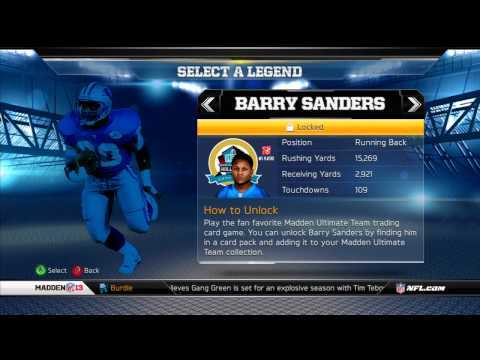 That’s right; Madden NFL 12 will now allow players to trade cards in Madden Ultimate Team. 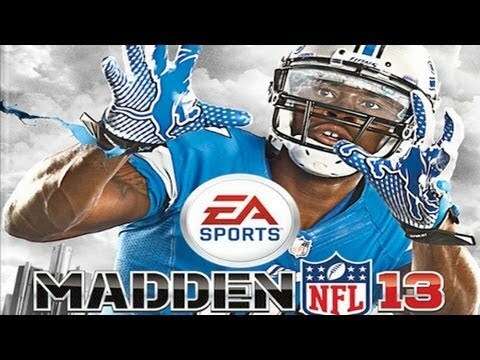 Madden NFL 12 cover reveal! Hey Madden fans, I’m Patrick Bellanca, Assistant Designer here at Tiburon, and I’m really excited to talk about Superstar mode in Madden NFL 12. There’s a lot of really cool stuff to cover so let’s get at it.